President Trump tweeted yesterday that “The threat from radical Islamic terrorism is very real, just look at what is happening in Europe and the Middle East.” His comment suggests that “radical Islamic terrorism” is the greatest threat to the United States and that his administration will take steps to eradicate this danger from the world. I am certainly no fan of terrorism in any form, whether it be “Islamic” or not, but that is not the topic of discussion here. I want to talk about the real threats that Americans face. I want to point out things that have been proven to be more dangerous than “radical Islamic terrorism.” And I want to do this by presenting some research and facts. According to New America, a Washington think tank, “radical Islamic terrorists” launched nine attacks since 2002 that murdered 45, while the right-wing extremists struck 18 times, leaving 48 dead. In an earlier study, New America examined groups “engaged in violent extremist activity” and found that white extremists were by far the most dangerous. According to a September 2016 study by Alex Norasteh at the Cato Institute, a libertarian think tank, some 3,024 Americans died from 1975 through 2015 due to foreign-born terrorism. That number includes 9/11. Since that day, however, foreign-born terrorists have killed roughly one American per year. Norasteh’s research concludes that the average likelihood of an American being killed in a terrorist attack by any kind of immigrant in any given year is one in 3.6 million. 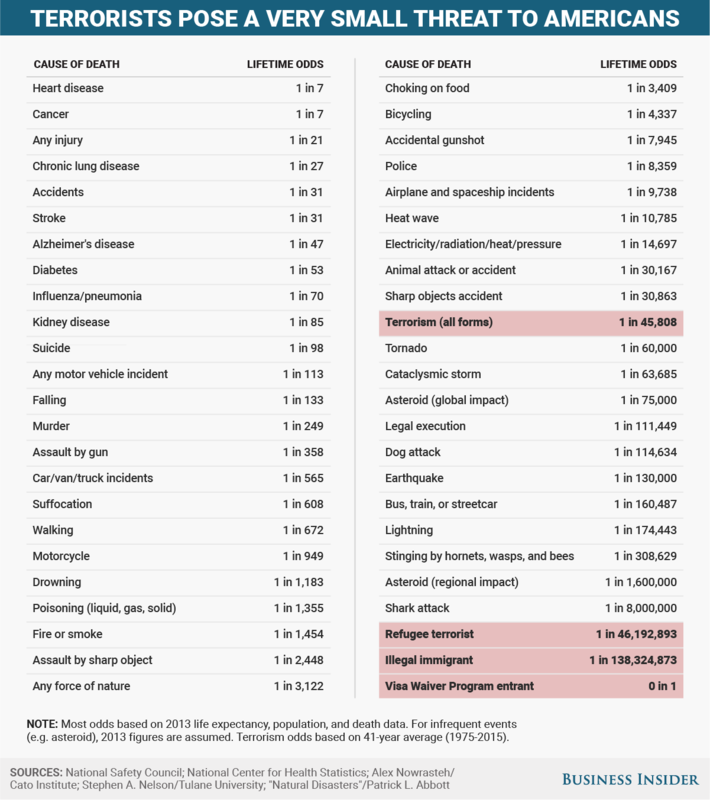 Writing in the Washington Post, Andrew Shaver found that since 9/11, Americans have been no more likely to die at the hands of terrorists than being crushed to death by unstable televisions and furniture. Meanwhile, in the time it takes you to read this post, at least a few Americans will have died from a heart attack. Within the hour of reading this post, someone in the United States will have died from skin cancer. And by the time you turn the light off to sleep this evening, somewhere around 100 Americans will have died throughout the day in vehicular accidents (these statistics have been lifted from the Shaver article). Donald Trump wants you to be afraid. He wants to have control over your mind. He thrives on hate and conspiracy theories. He is currently engaged in a War On Reality. And here is the reality on the War On Reality. Trump’s administration is going to craft insane public policies to target “radical Islamic terrorism,” which is a waste of money. It will amount to excessive public spending on a make-believe threat. The billions and perhaps trillions of dollars that his administration will pump into “anti-Islamic terrorism” campaigns is, as the facts show, unwarranted. 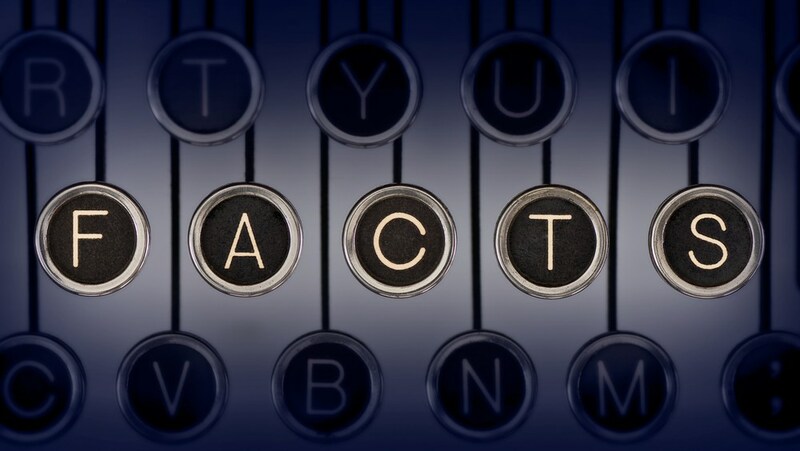 But, of course, we all know that facts don’t matter to the President.